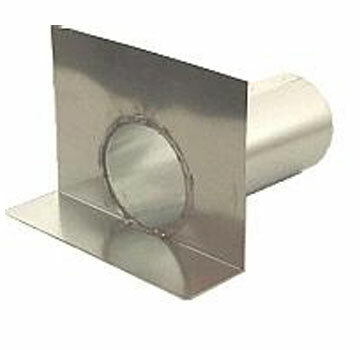 Scupper, 3-1/2 in. Round X 12 in. Long, Galv. PRODUCT: SCUPPER DRAIN, 3-1/2" OD ROUND X 12" LONG DRAIN WITH 4" OUTER FACE AND FRONT LIP. 26 GAUGE GALVANIZED, SOLDERED FACE CONNECTION. PRICE/EACH. Welded and soldered to be leak free.